INSTROTECH now supplies universal s-type load cells manufactured by Revere Transducers, with various versions and capacities. Stainless steel models 9363 and nickel-plated models 363 may be used in tension or compression. 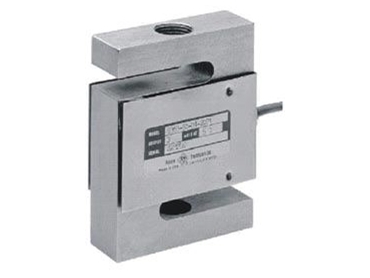 These load cells are available in both metric and imperial versions. Capacities range from 50 to 10,000kg and from 100 to 20,000lbs. Applications include hybrid scales, overhead track scales, belt scales and process weighing. Trimmed output versions are available for use of multiple load cells in parallel without the necessity of adding trimming resistors. Reliable environmental sealing is provided to IP67 for the strain gauge and the cable. Bridge impedance is a standard 350Ω, with a nominal 3mV/V output. The accuracy of the various versions ranges from 0.05 to 0.02% combined error, with up to 3,000 verification intervals to OIML Class C3. These models compliment the range of tension, compression, beam and single point load cells supplied by Instrotech. Instrotech also supplies amplifiers, indicators, and transmitters for weighing applications, as well as belt weighing electronics, in panel mount, rail mount and field mount versions.